Submission Fight Co.’s Hemp Sensation has some good, bad, and ugly things about it. First the good: Well it’s a 70/30 blend of hemp and cotton. I am a sucker for alternative materials for gis. After my first experience with a 100% hemp gi, I was wondering how SFCo was going to pull it off. The thing of it is, they do. The gi is durable. 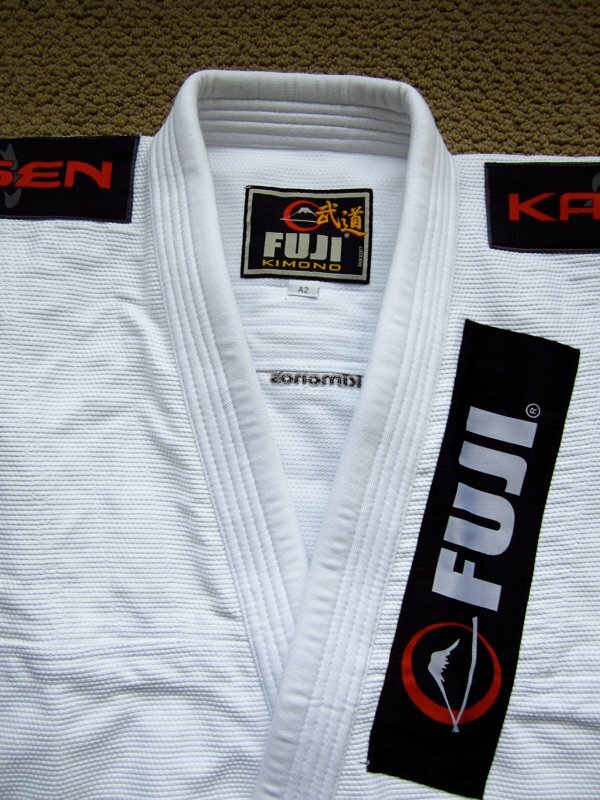 I put myself and the gi through some tough sessions on and off the mat. I had team mates pulling at from all positions, from the lightest to the heaviest team mates. Off the mats I washed it hot, cold and everything in between. I’ve even washed it four times in one week. For the most part hemp sensation held up well. I enjoy the cut of the jacket. Now I know that this is a personal preference and it also depends on your body type. I am 5’2″ and 145 lbs, and the jacket fit me like a glove. 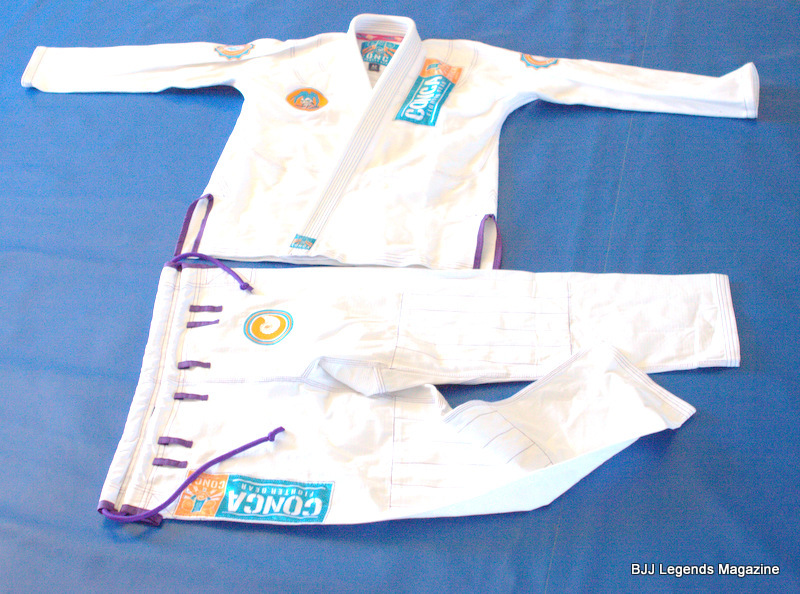 No excessive sleeves for people to take advantage, and not too short to be IBJJF tournament legal. I also liked the look of the embroidery, not too loud and not too thick where it would inhibit my movement. It is a personal gripe of mine to have huge chunks of embroidery on the arms and legs. [social][/social]Now for the bad. This is tough, because I know this is based a bit on personal preference. The pants were a bit on the baggy side for my taste and I’ve got tree trunk legs. I imagine people with normal sized legs would be swimming in these pants. While I don’t like the skinny jeans look my gi, I also don’t like the 90’s baggy pants look either. While it’s not that bad, it’s just a bit baggy for my taste. And on to the ugly. I first noticed this when I was stretching, but the contrast stitching brought out some of the imperfections in craftsmanship. First of all, I do like the contrast stitching but, I think a thicker thread might have been a better choice. At least a thicker thread on the jacket. 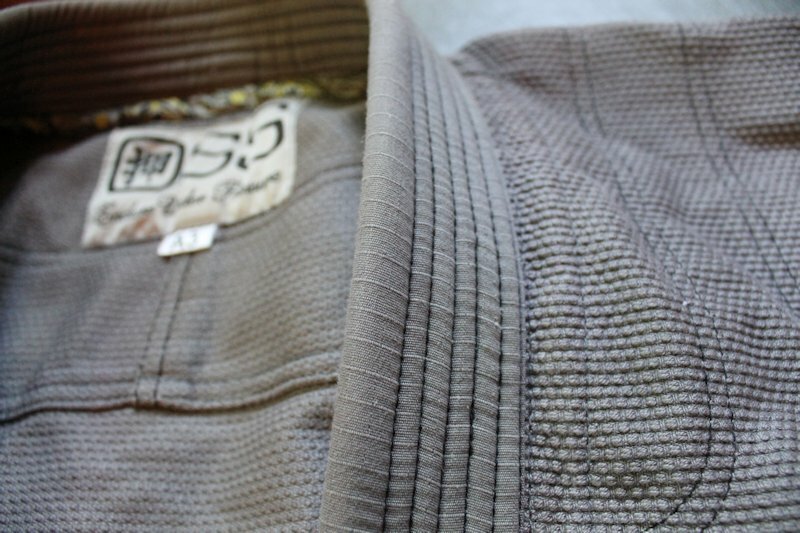 The thin stitching brought out some crooked lines on the gi. Also the contrast stitching on the armpit reinforcements were unnecessary, especially since some of the stitching did not line up. While this does not affect the functionality of the gi in the least bit, I know some people would be turned off by this. [bjjad][/bjjad]Overall, Hemp Sensation is a good gi. While the cosmetic flaws are minor, the contrast stitching bring them out. I hope that the bagginess in the crotch area and the stitching gets fixed on another run of these gis. The feel of this gi is amazingly soft. I really appreciated the softness of the gi when I threw them over some pull up bars. It reminded me of an old school Ouano gi. SFCO do the hemp some justice by releasing a solid gi and I will definitely be rocking this gi.